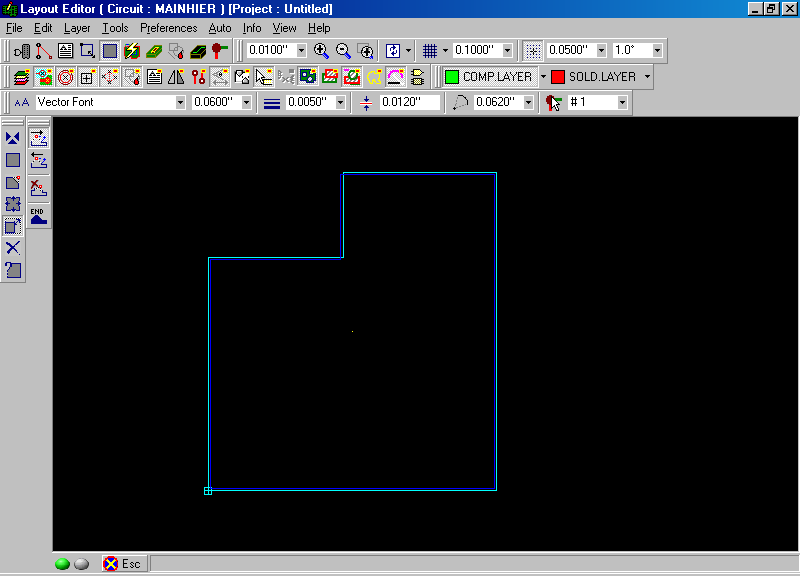 The board outline can be imported by the following method. 1. 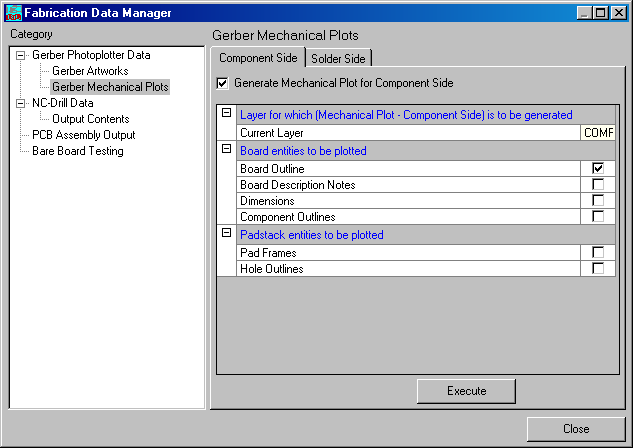 Gerber Mechanical plots → select Board outline → Execute. 2. 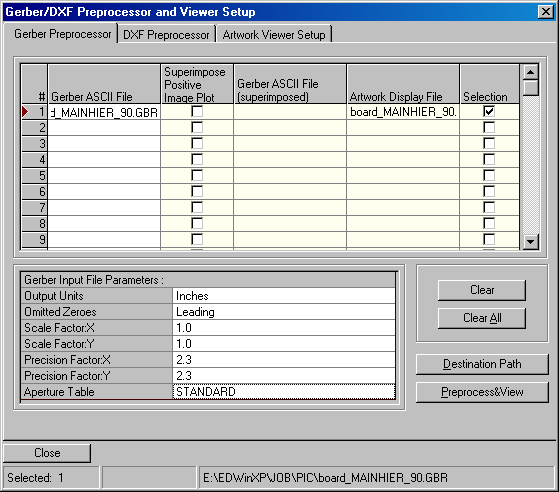 File → Gerber viewer setup → Gerber preprocessor → Select the GBR file → Preprocess and view. 3. 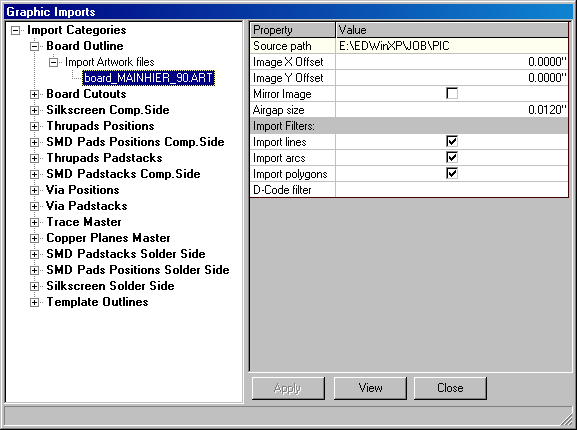 Graphic imports → import categories → board outline → import artwork files. 4. 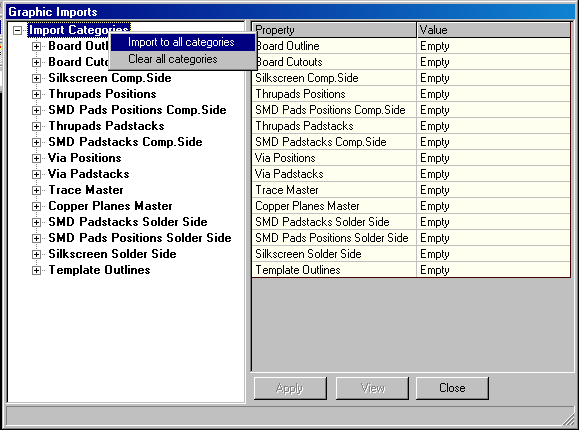 Right click Import Categories → Import to all categories and Select Yes. 5. Transfer category to project → Select Yes. 6. Tools → Reconstruct from Graphics → Reconstruct Board Outline → Arrange the board outline to be fit to the template.